Daryl Horgan's two goals propelled Hibs above Hearts in the Ladbrokes Premiership table as the Easter Road club won at Tynecastle Park for the first time in six years. Horgan scored two well-taken efforts either side of half-time after Peter Haring had headed Hearts into the lead. The result sees Hibs climb above their Edinburgh rivals into fifth place in the table entering the post-split fixtures. Although Hearts had started the game in strong fashion, they finished second best despite mounting pressure throughout the second half. The visitors fashioned two fine goals – although video replays showed Marc McNulty was marginally offside in the build-up to the first. There was also a strong Hearts penalty claim near the end of the first half which did not register with referee Willie Collum. Hibs left Tynecastle celebrating their first victory there since May 2013 after a courageous fightback, and the Hearts support vented their anger at the final whistle. The drizzly and damp conditions were perfect for an uncompromising Edinburgh derby. Both clubs knew the winner would be above the other in the Ladbrokes Premiership table at full-time so bragging rights were at the back of everyone's mind. Hearts received a huge pre-match boost when striker Uche Ikpeazu was passed fit after last week's head knock. Teenager Bobby Burns was given his first league start in maroon, Michael Smith returned from injury, while Olly Lee and Jake Mulraney were also reinstated. Hibs were visiting a venue where they hadn't won in ten attempts since May 2013. They made one change from midweek by recalling centre-back Darren McGregor in place of midfielder Vykintas Slivka. The opening exchanges were predictably frantic and the hosts appealed for a penalty when the ball inadvertently struck Florian Kamberi's hand. Hibs found an opening when Horgan's cross skimmed Christophe Berra's head and landed at Florian Kamberi's feet, however poor control from the Swiss saw the ball run out of play. Seconds later and Hearts were attacking again but Mulraney's overhead attempt was taken comfortably by the visiting goalkeeper Ofir Marciano. Lee's free-kick rebounded off Marciano's left post on 17 minutes and at that stage Craig Levein's side looked more threatening. They came close again when the lively Mulraney scampered on to Haring's through pass, beat McGregor and fired a right-footed shot against Marciano's legs. Then, from Mulraney's cross, Lee's angled shot deflected off Hanlon and behind. Hearts deservedly took the lead from the resultant corner. A textbook delivery by Lee was met by Haring's forehead for a towering header which soared into Marciano's net. The advantage lasted merely three minutes, however. 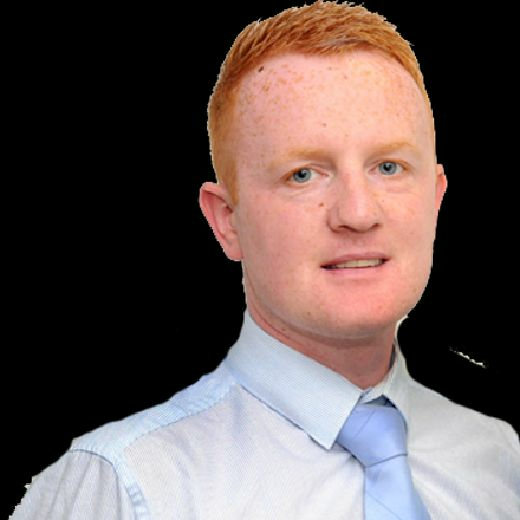 McNulty sprinted down the left and prodded the ball across goal with the outside of his right foot towards Horgan. The winger slid his first-time finish away from Hearts goalkeeper Zdenek Zlamal to restore parity. Both goals were greeted by smoke bombs from the respective sections of supporters inside Tynecastle. As the first half progressed, those in the home camp grew frustrated not getting fouls from Ikpeazu's tussles with opponents Paul Hanlon and Darren McGregor. The giant striker was seen shaking his head on several occasions but Hibs were determined not to be outmuscled at the back. Hearts defender John Souttar appealed for a penalty in the dying seconds of the first half following a late challenge by Stephane Omeonga, but the whistle blew with the score level. Eleven minutes into the second period, Horgan struck again. A neat flowing move involving Horgan, Kamberi and Stevie Mallan ended with Horgan dashing towards the edge of the home penalty box. With a swing of his left foot, he unleashed a powerful drive from 18 yards which swept past Zlamal to give Hibs a precious lead. McNulty's glancing header from a cross seconds later might have put the Easter Road side further ahead. The visitors had fought their way back into the game and were now in control. It was their fans in the Roseburn End making all the noise. Hearts tried to respond but, from Smith's cross, Mulraney's first-time shot went over the crossbar. Teenage Irish striker Aidan Keena then replaced Smith. Ikpeazu's exasperation continued during his exchanges with Hanlon and McGregor as those in maroon strove to increase the pressure. Hibs introduced Marvin Bartley for Kamberi looking to block the route to goal for their opponents. Ikpeazu evaded Hanlon inside the box on 75 minutes, only for Marciano to claw his attempted lob away. Mallan tried an audacious attempt to end the game completely with a 40-yard free-kick three minutes later. He was denied by Zlamal's quick reactions. 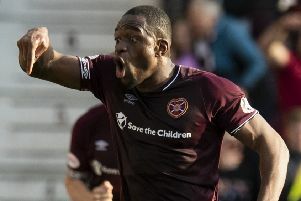 At the opposite end, Arnaud Djoum wasted a fine opportunity by sending Burns' bouncing cross into the Gorgie Road Stand. Hearts' attacks were by now relentless as they desperately tried to salvage a draw. Another Burns cross found Keena for a looping header which Marciano collected. Hearts left themselves wide open at the back, allowing Hibs the chance to break. From one such attack Zlamal blocked from McNulty in a one-against-one. That was the final clear scoring chance before the final whistle prompted huge celebrations in the away end. Hearts (4-2-3-1): Zlamal; M Smith (Keena 60), Souttar, Berra, Burns; Haring, Djoum (MacLean 87); Clare, Lee, Mulraney (Morrison 77); Ikpeazu. Unused subs: Doyle, Shaughnessy, Bozanic, Wighton. Hibs (4-3-3): Marciano; Gray (Spector 77), McGregor, Hanlon, Stevenson; Mallan, Milligan, Omeonga; Horgan (Slivka 88), McNulty, Kamberi (Bartley 73). Subs: Bogdan, Mackie, F Murray, Allan.